After last year’s flirtation with short hair and blunt bobs, I am slowly growing my hair out. For me, personally, short hair meant less maintenance, but this season I’m all about the maintenance. I am still using my favorite shampoo + conditioner and hair mask, but have since added this blow out balm to my hair care regime and the name says it all. Other hair and beauty related things I am loving this fall/winter? like this, this or this, and this. my go-to matte lipstick (no. 62). some days, this product is the only thing I put on my face. a la CBK and Ashley O.
I’m very particular when it comes to shopping for black ankle boots. The shape; how do they make my feet and legs look? The details; I strongly dislike zippers or metal accents. The functionality; can I walk 20 city blocks in them? These things all play into my decision making. This season I have tried on dozens of new styles but have yet to find the boots for fall 2018. The common theme is a slightly square or pointed toe and a moderately sized heel. 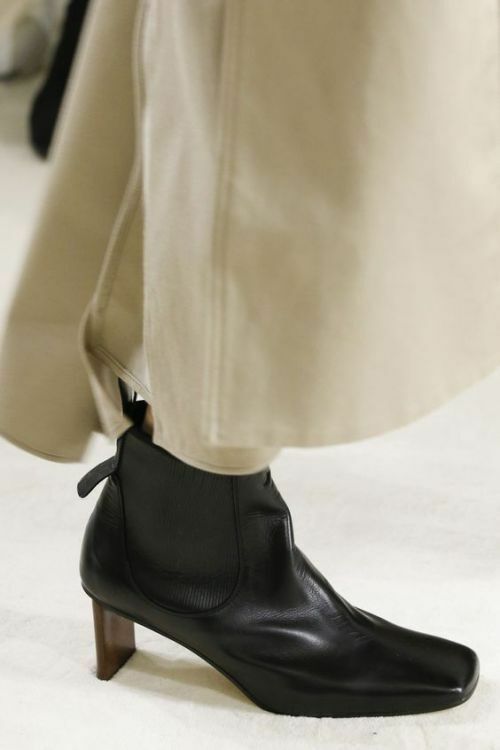 When it comes to brands, I think The Row, Balenciaga, and now Loewe (once Celine, RIP) do footwear best, and Zara or Mango for affordable styles that are ideal for inclement weather. See below to shop my favorite ankle boots of the season. I bought this navy Balenciaga blazer in Paris. Not only is it a statement, but a wardrobe staple. if I had to choose one pair of denim these jeans would be it. The quality, fit and style is 10/10. I won the vintage lottery when I found these never-been-worn Gucci (by Tom Ford era) strappy sandals in my size. I have since been wearing them with baggy trousers and denim with oversized sweaters. 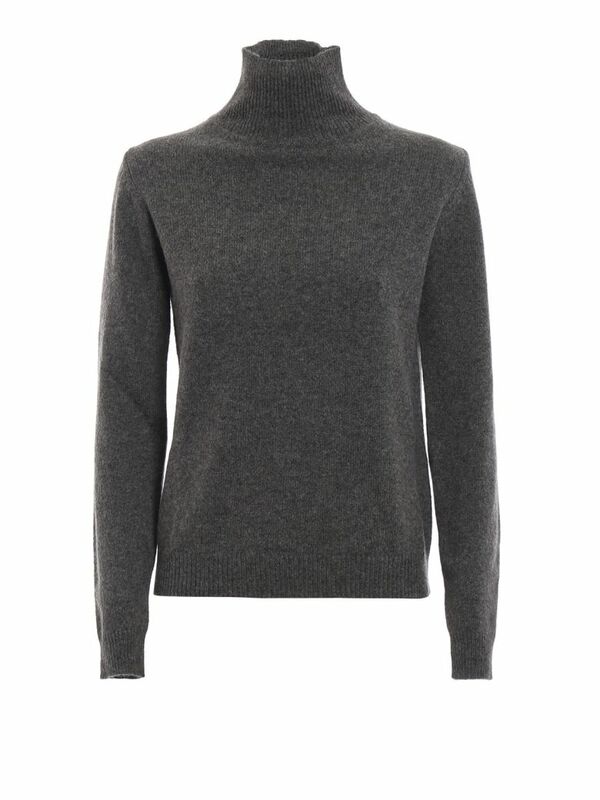 this perfect knit turtleneck will be on rotation all season long. every fall I like to invest in an interesting trench coat — I am currently loving this split-back style and this wool blend trench. To see more weekly additions visit @stylebrookekatherine or the shop my style page. Totême’s latest campaign, THE CITY, is an ode to New York, and seemingly, my favorite Totême campaign yet. 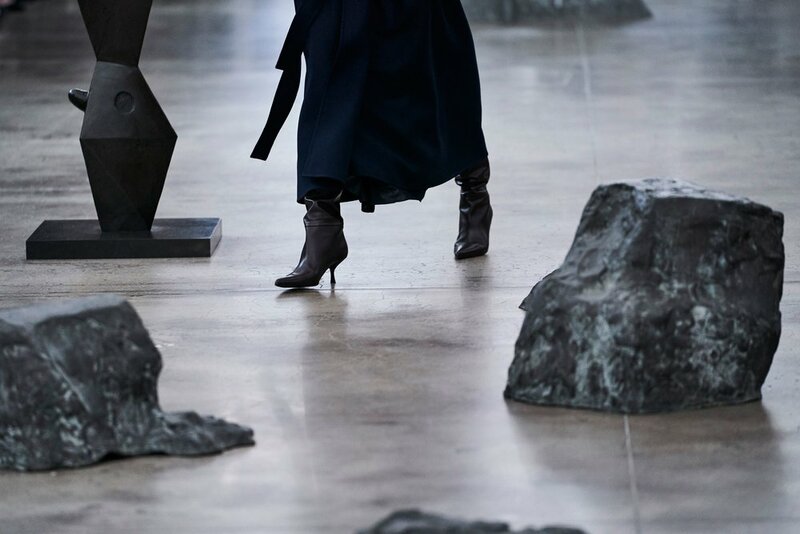 The video represents all things I love about Manhattan — the movement, the energy, and of course, the ‘woman-on-a-mission’ slash ‘I-have-something-really-important-to-attend-to’ (even if that means running to The Line’s sample sale) style. Currently on my fall checklist? To shop the looks, see the Totême: The City edit.